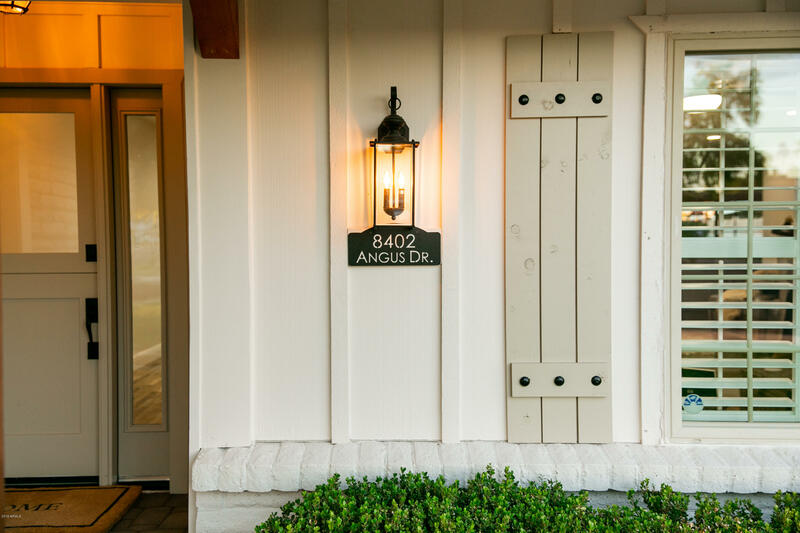 Welcome to The Angus House, another captivating design from Krafted Renovations. 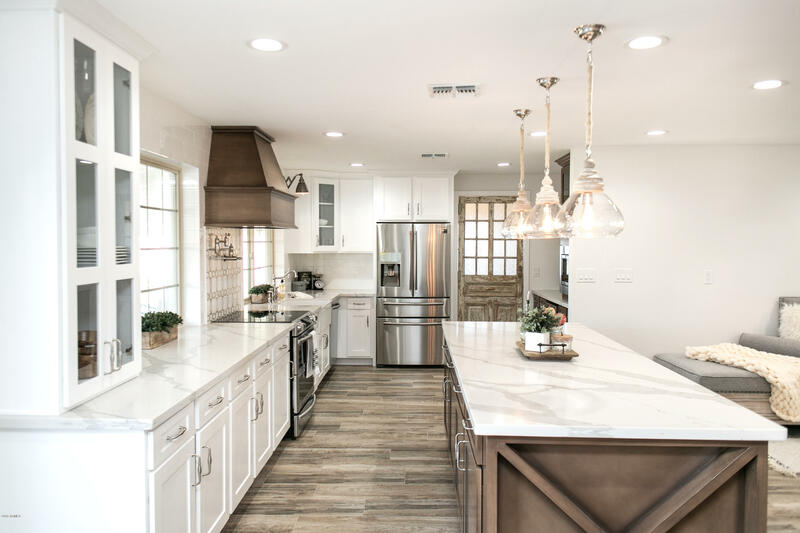 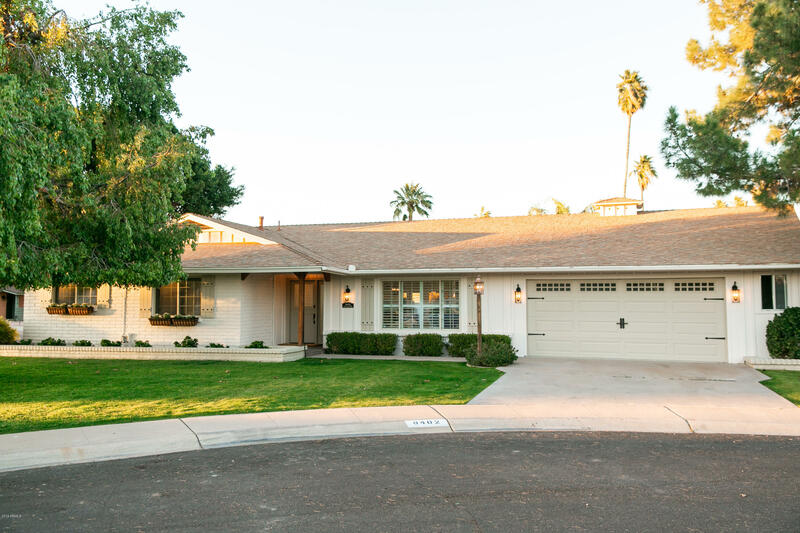 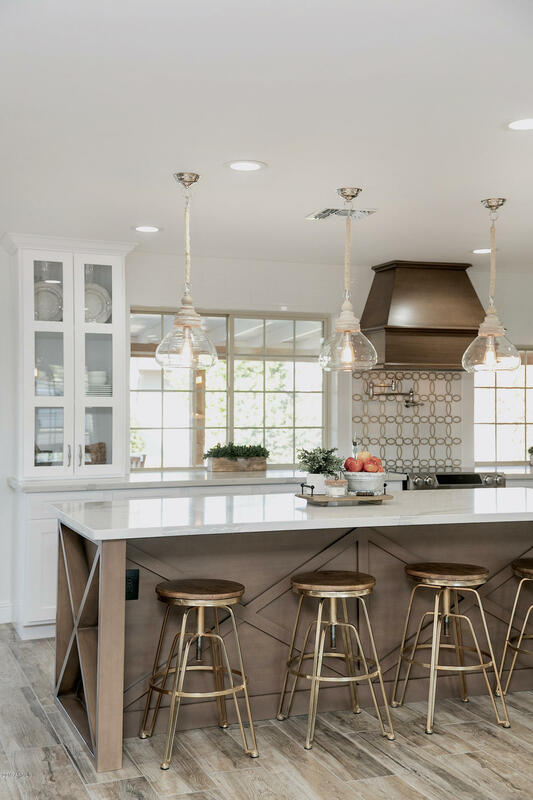 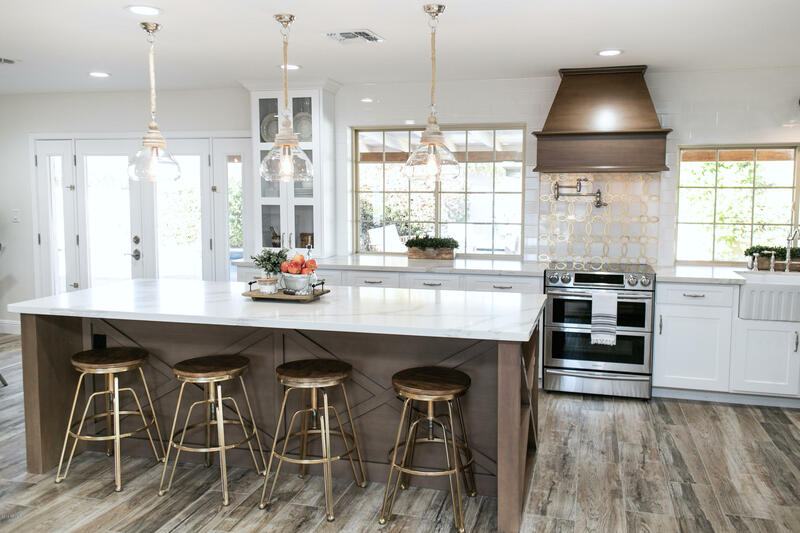 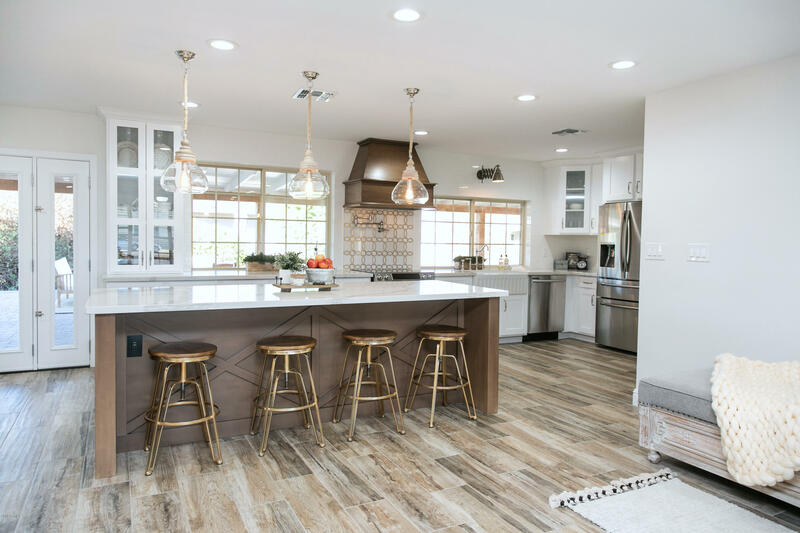 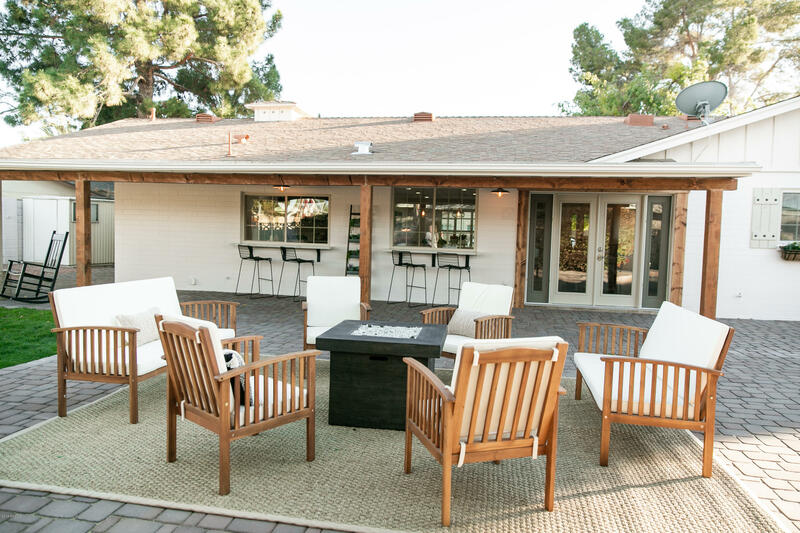 This classic South Scottsdale home has been reimagined with warm and inviting artistic flares throughout! 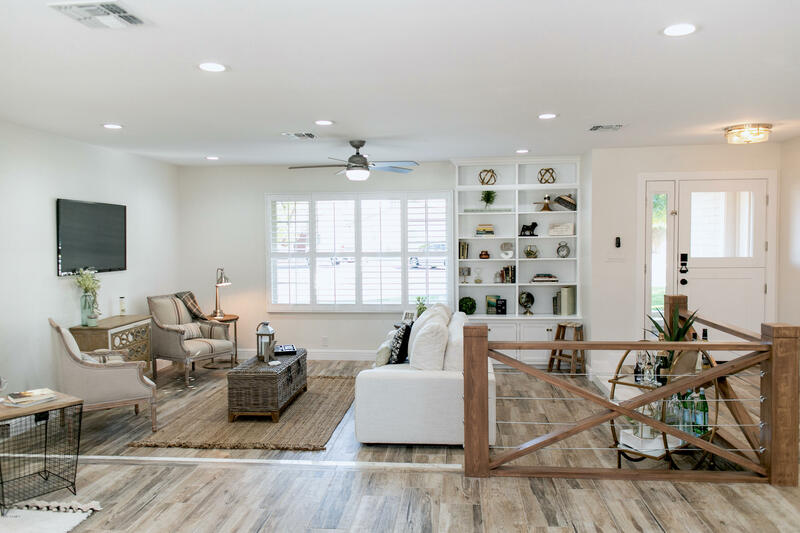 Beautifully remodeled in 2019, this four bedroom, two bath home features custom upgrades inside and out! 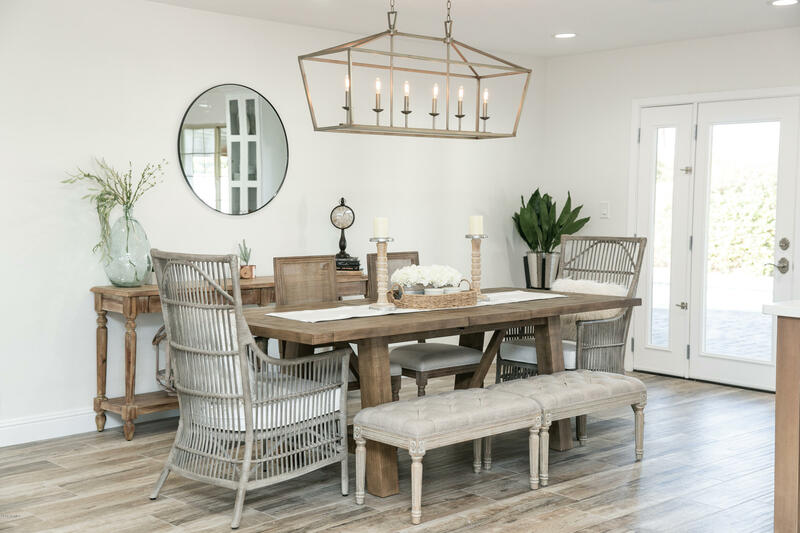 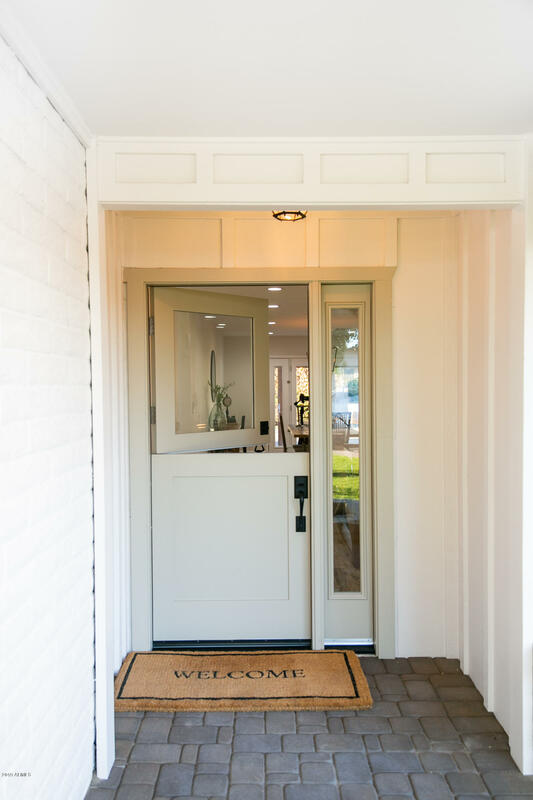 From the moment you walk through the custom Dutch Front Door, you will be overtaken by the beauty and openness of the home. 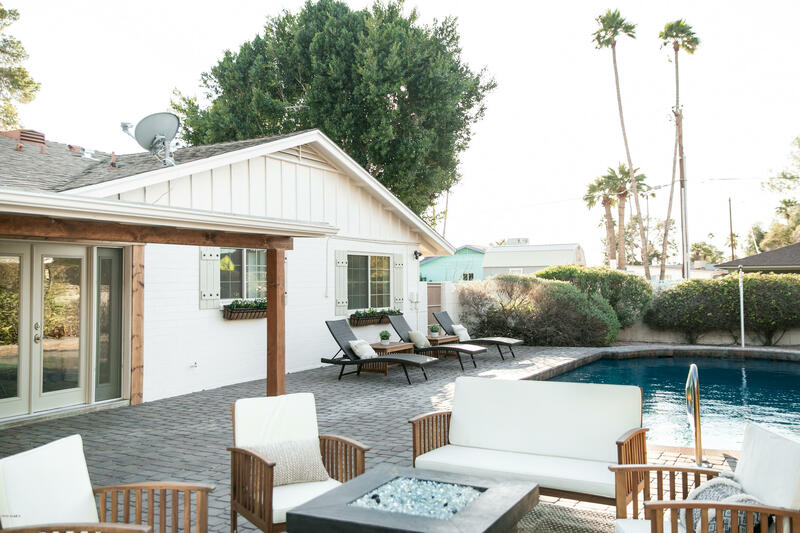 Truly an entertainer's dream! 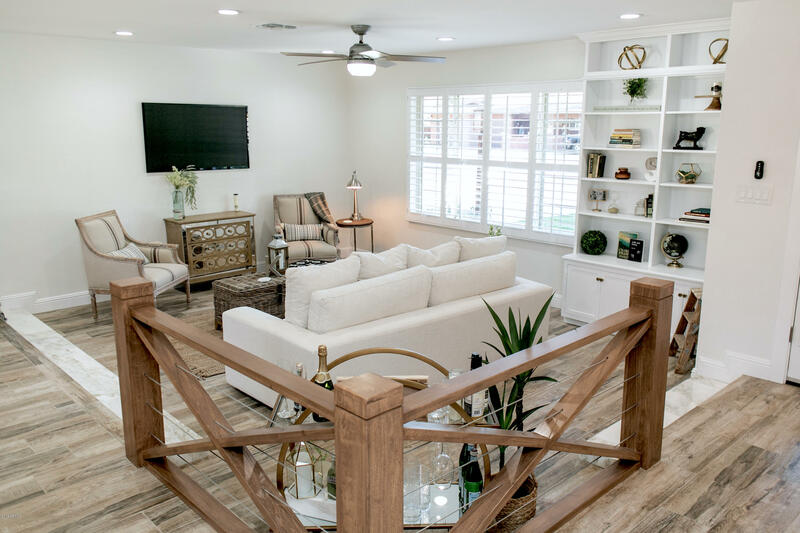 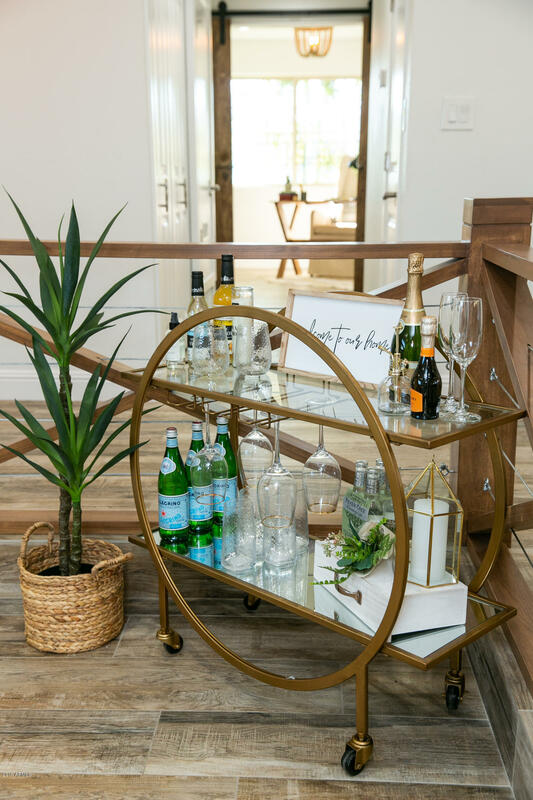 The custom wood and metal railing give a bold statement to the living room drop-down, featuring real marble steps and floor-to-ceiling builtin bookshelf. 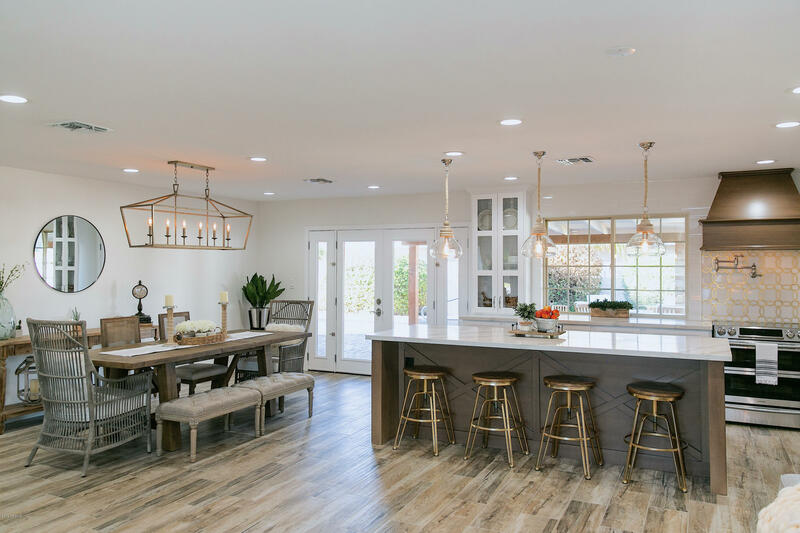 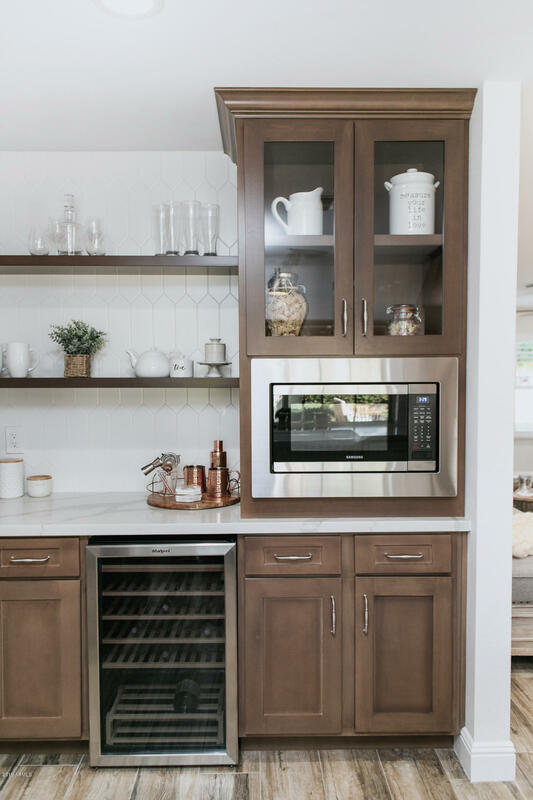 Take a step up to the fully custom kitchen designed with you in mind! 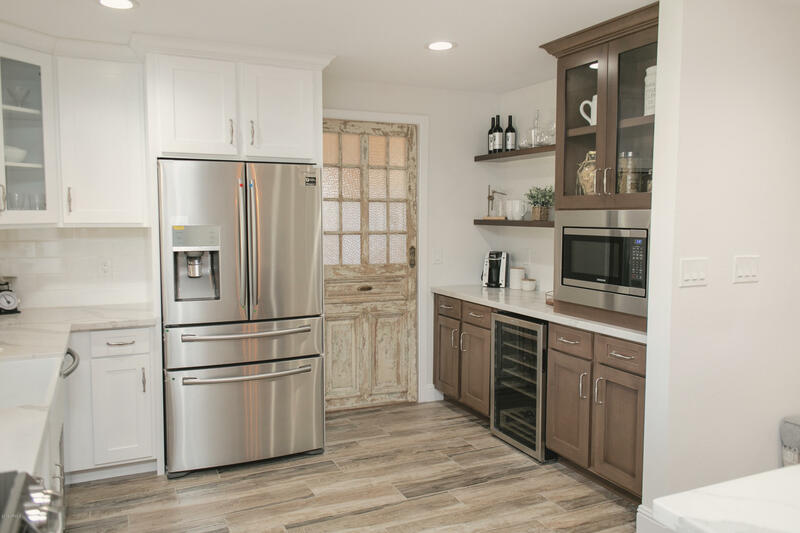 Featuring Samsung appliances, oversized farmhouse sink, Calacatta Gold Quartz countertops, counter to ceiling pantry, marble & gold metal backsplash behind the range with a satin nickel pot filler and a charming, coffee meets bar, nook with open shelving, wine refrigerator and builtin Samsung microwave. 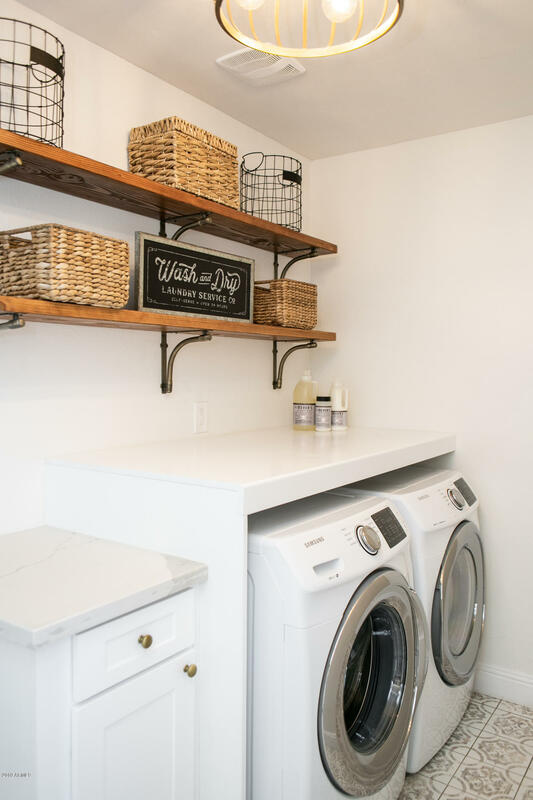 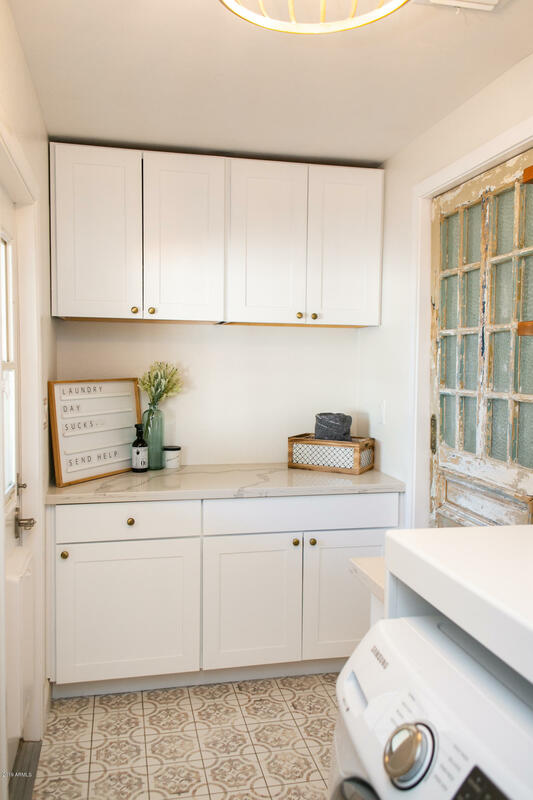 Don't allow yourself to over look the vintage and very antique, 1890's double swinging door from France, which leads directly into the cozy laundry room which will make laundry days a breeze! 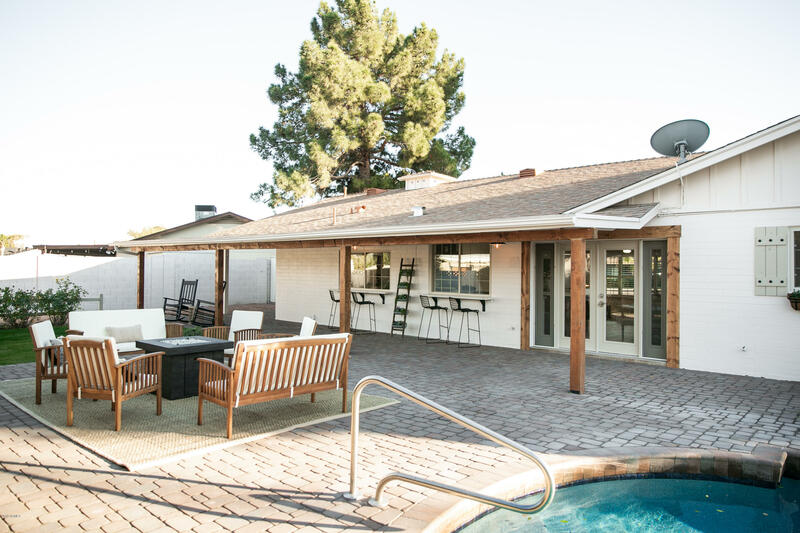 Let the entertaining continue with two windows in the kitchen that act as service windows with two matching quartz bar tops overlooking the expansive, newly redesigned backyard and pepple tech pool. 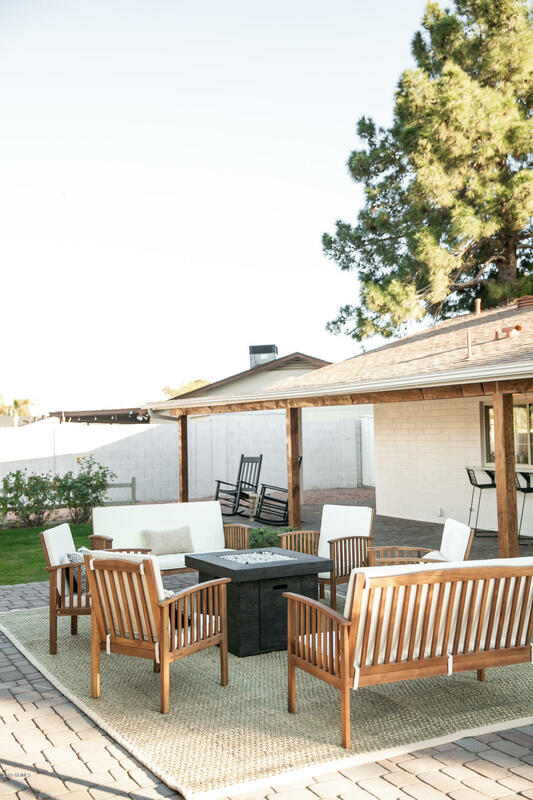 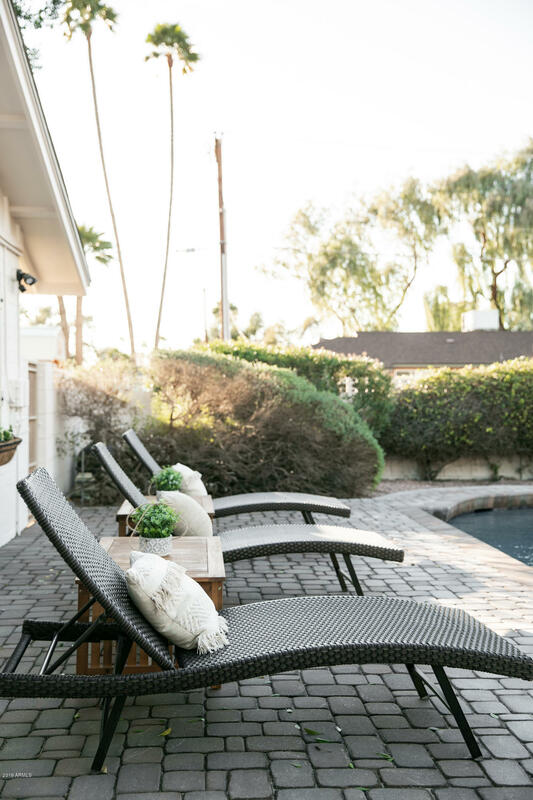 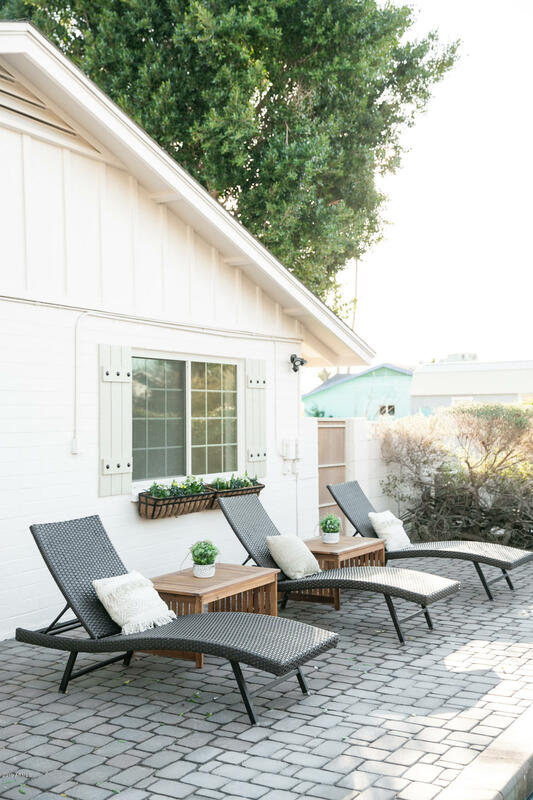 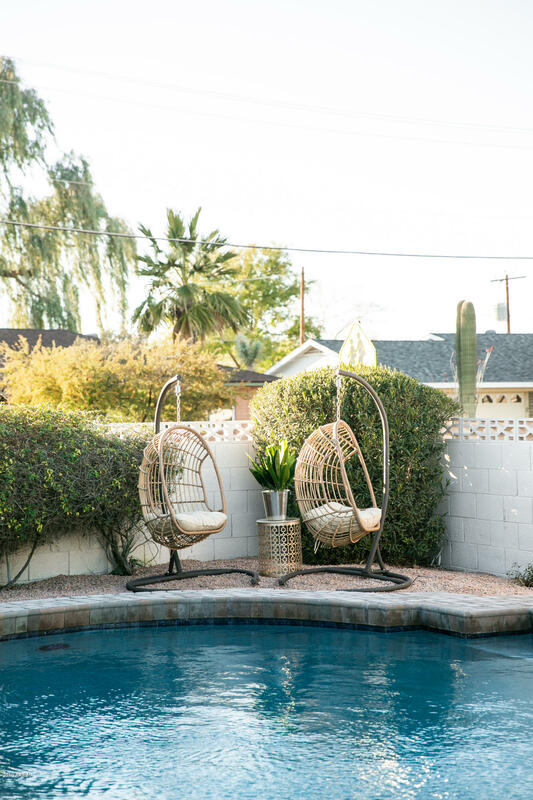 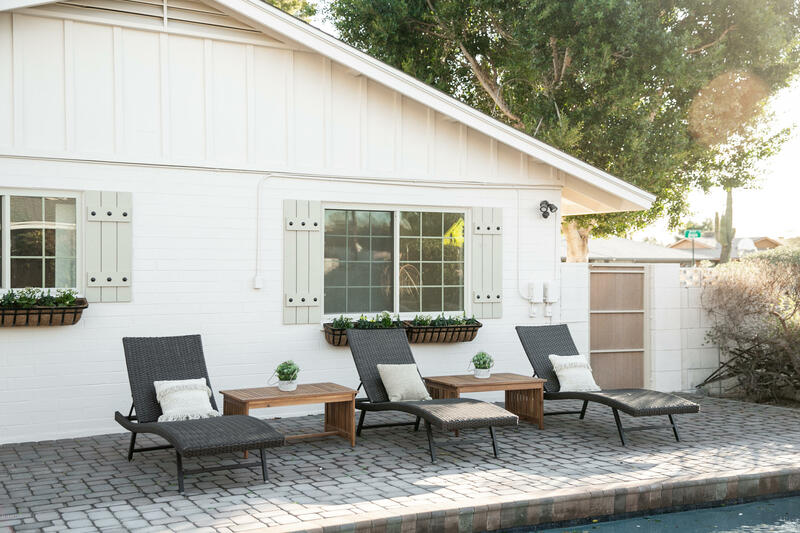 With over 1500 sqft of pavers laid, this backyard is where you will find yourself relaxing and enjoying these beautiful Arizona sunsets or fun pool days with friends & family! 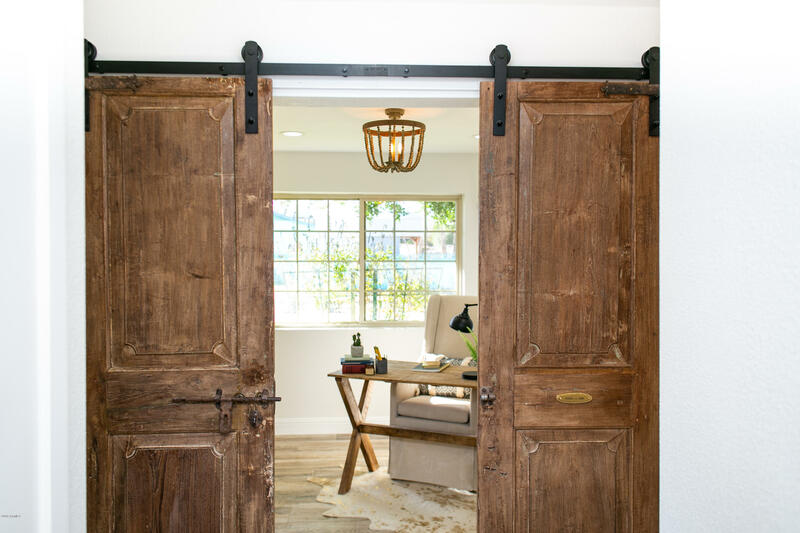 Come back inside and head down to the hallway, where you will immediately be greeted by another pair of antique doors from early 1800's India! 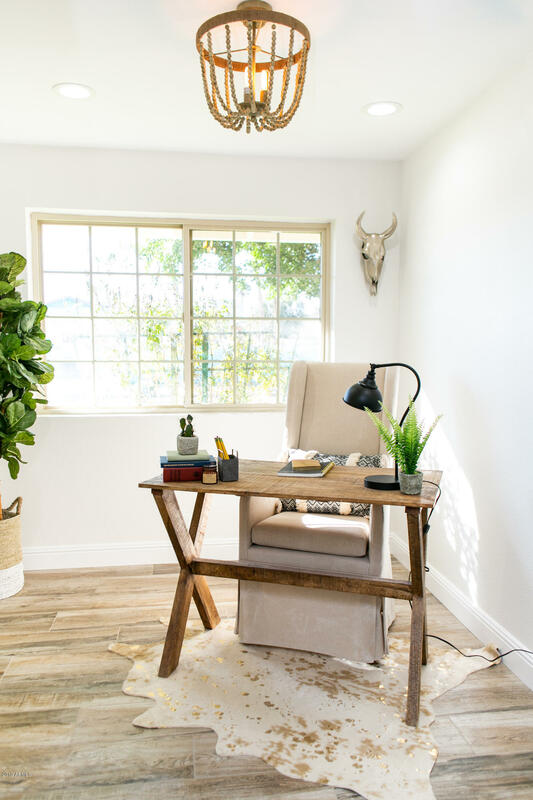 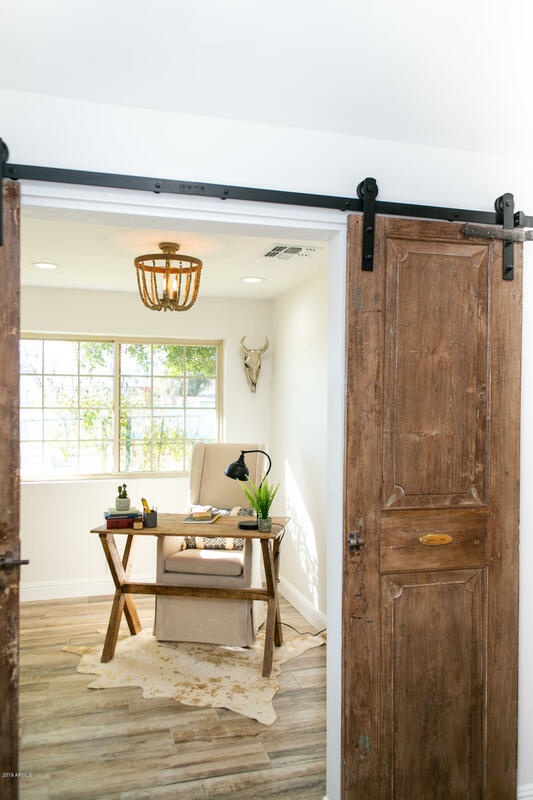 These doors were placed precisely to truly be a piece of art that lead into the perfect home office or even an adorable nursery! 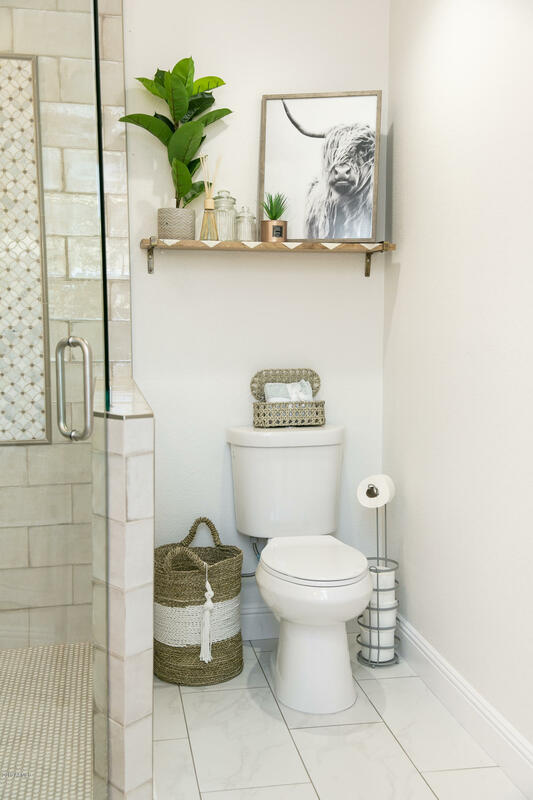 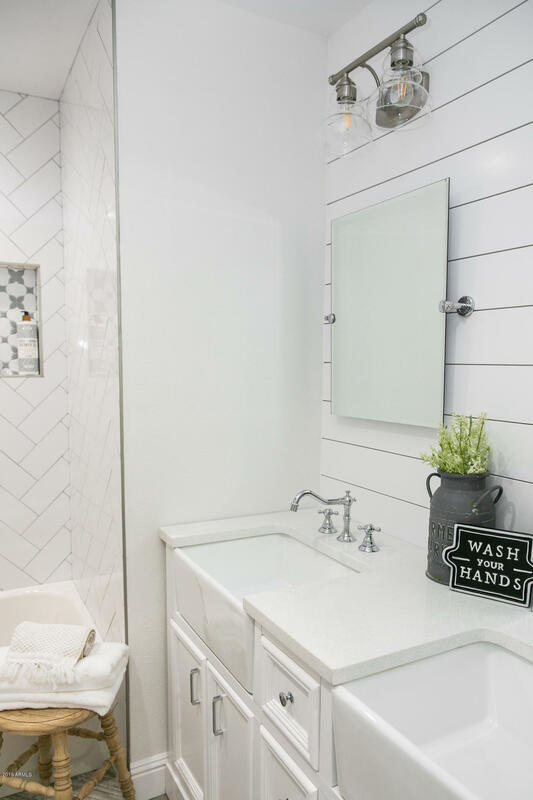 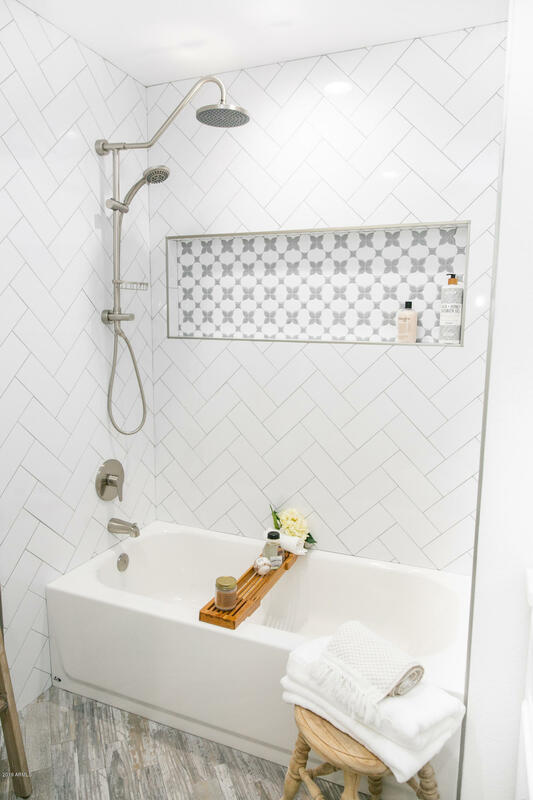 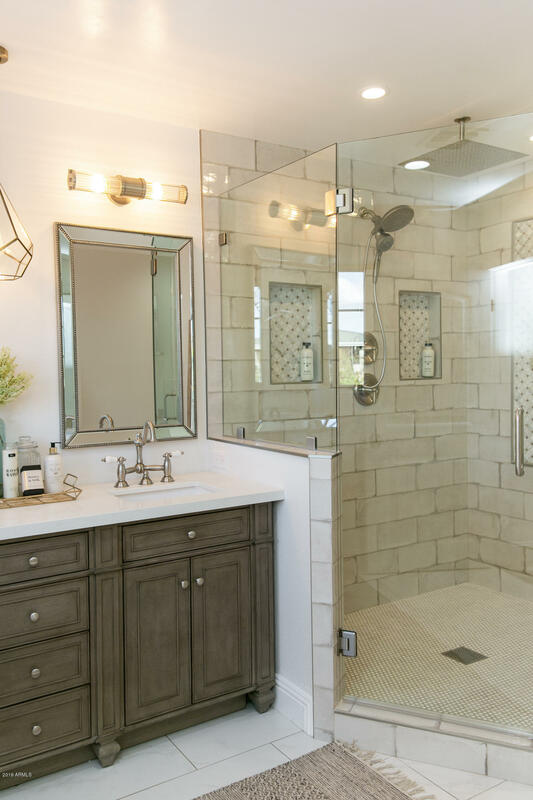 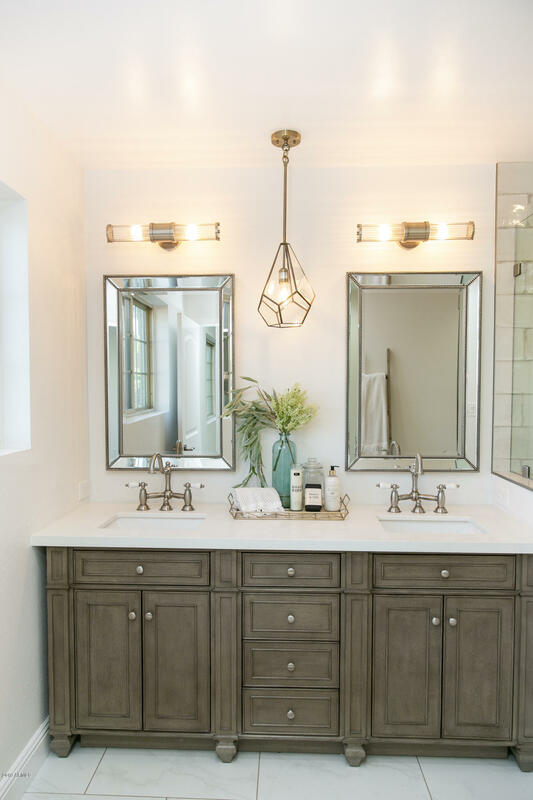 To your right you will find the hallway bathroom which boasts a large vanity with 2 farmhouse sinks, accented with Shiplap wall and a large shower/tub combo. 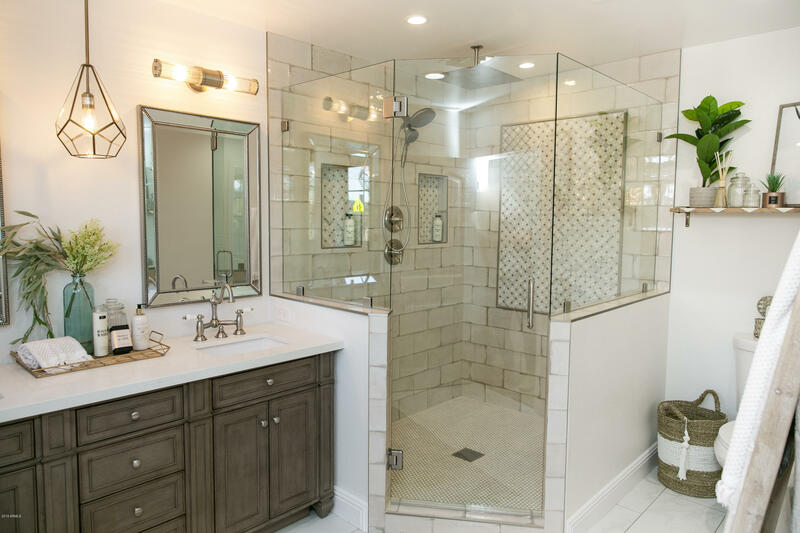 Next, head into the master suite which features a walk-in closet, views of the beautiful backyard and an ideal sized master bathroom with a massive shower, an overhead rain feature and a 72" double sink vanity with room to spare! 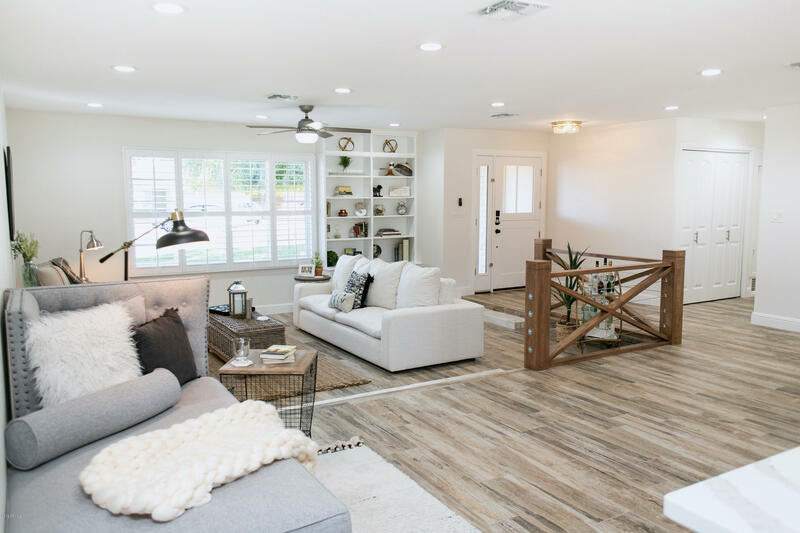 Down the hall you will find the last 2 bedrooms with plush new carpeting and shaded by the grand weeping willow tree in the front yard! 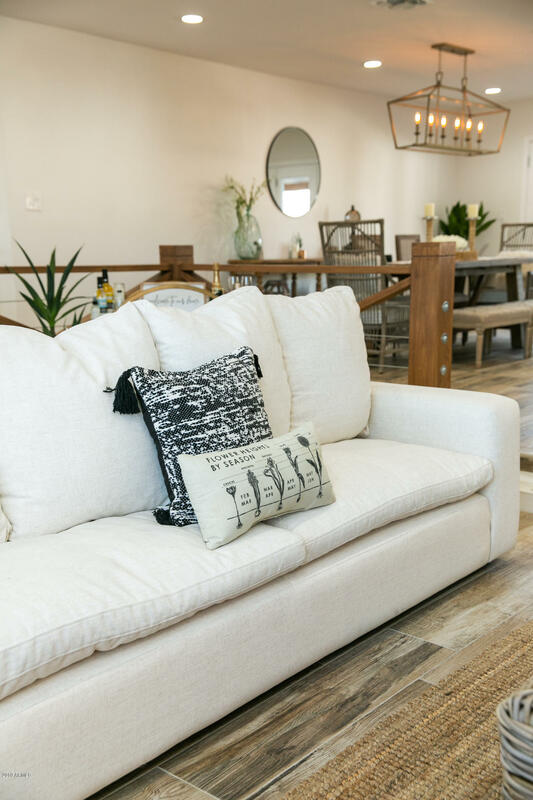 This home speaks for its self and words can't capture the beauty of it! 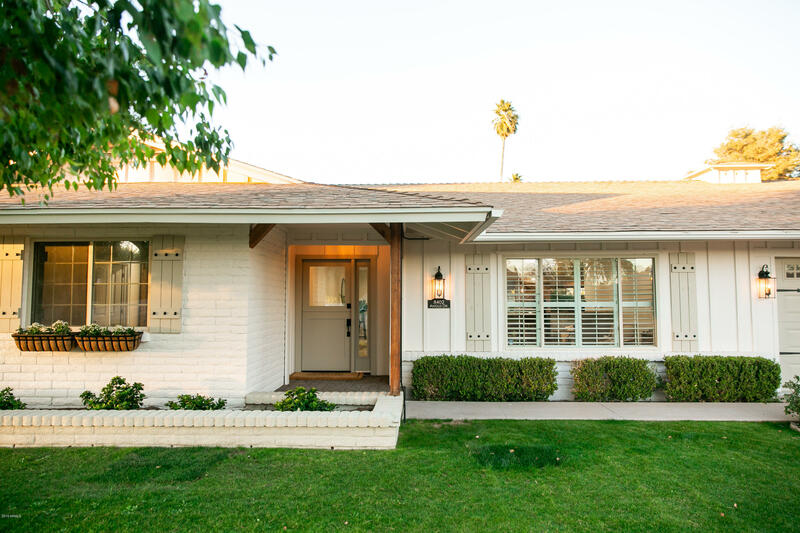 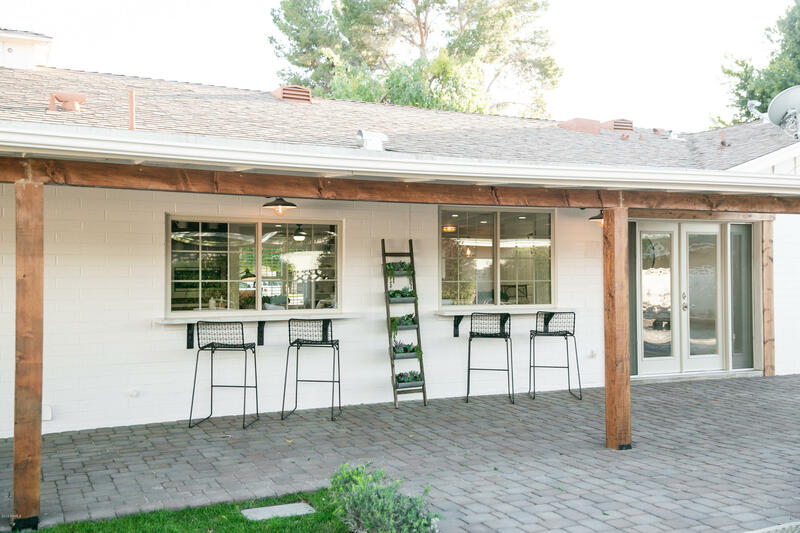 So do yourself a favor and make an appointment to see The Angus House today!